I live in one of the oldest incorporated municipalities in Florida. People began settling this area in the late 1800s because of the natural spring waters and pine forests. At the close of the Civil War, settlers came buying large tracts of land, clearing them and planting citrus groves. 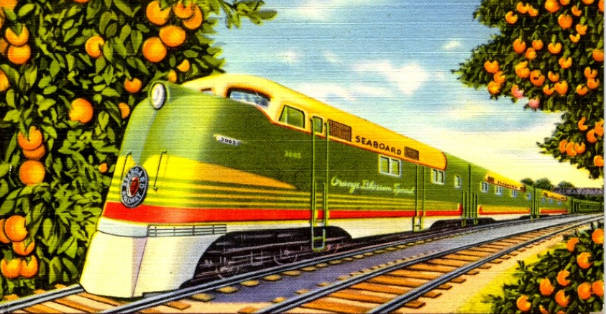 Through the years as population growth increased across many Florida counties, the sweet smell of orange blossoms in the air disappeared as grove lands were purchased and developed into residential and retail projects. As more land is required for roads, schools, retail outlets, hospitals, etc., the agricultural lands and natural resources (streams, ponds, lakes, woodlands and wildlife habitat) will diminish. 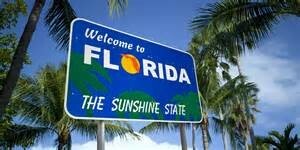 According to the American Community Survey (ACS), the median household income for Florida in 2014 was $47,463. Real median family income had peaked in 2007 at $65,045; however, a struggling economy soon after would produce a 12.04 percent decrease. Since 2012, the median family income for Florida has only grown by 1.29 percent. Coupled with the fact that the average Florida home value is currently estimated at $130,000, an average two-wage-earner household will have difficulties affording home ownership. The American Society of Civil Engineers’ (ASCE) recent 2016 Report Card on Florida’s Infrastructure shows education at a D+. 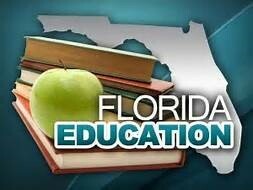 The average age of Florida’s schools is 29 years. The annual growth rate of Florida’s student population over the last 25 years has been almost 4 percent. That comes to nearly 50,000 public school students every year translating into requiring 100,000 additional teachers over the next 25 years to meet the student population needs. People over 65 and children under the age of 18 will make up approximately 57 percent of the state’s total growth between 2000 and 2030. Both of these demographic groups will place a greater demand on health care systems. Federal and state fiscal resources for health care aid will increase dramatically. A critical issue will be the competition between health care and education for these funds. The overall 2016 ASCE Infrastructure Report for Florida was a C. Florida’s transit system received a C, roads a C, bridges a B, wastewater a C, stormwater a D, drinking water a C+ and energy a C-. State and counties allocate dollars to many of these infrastructures through a variety of taxes, including state and local gas taxes, and impact fees for new construction. The problem is that state and local taxes are not keeping pace with the cost of construction. Although population growth brings about job gains, cultural advantages and other factors that enhance the quality of life, the downside is the overstretching of future resources. There isn’t a magic formula or a recipe to solve these infrastructure issues. The key to the future success of Florida is to find the right balance between growth and demand with collaborative actions taken by state, county and municipal governments. Public and private agencies alike to raise awareness of all Floridians about the problems associated with high fertility and population growth through education and advertising campaigns urging responsible family planning. Enforcement of current immigration laws in cooperation with the Immigration and Naturalization Service (INS). The Florida Department of Environmental Protection to work with cities, counties and farmers along our rivers, wetlands and estuaries to reduce damaging algae blooms through implementing nutrient reductions and flow diversion projects. Passage of more legislative bills that provide adequate funding to develop and support technologies that protect natural systems and improve water supply and quality (i.e., aquifer storage and recovery). The Florida Department of Transportation to develop strategies that provide choices for communities such as passenger rail, bus, shared vehicles, bicycles and walking (especially for the aging population with limited mobility). Florida’s transportation system to preserve and enhance the environment by developing sustainable infrastructures and investments that preserve and restore the function and characteristics of wildlife habits, watersheds and other natural eco-systems. Ways to address the increasing demands for public services such as hospitals and schools. The Center for Workforce Studies Association of Medical College’s 2012 report indicates that there is an impending physician shortage in the state of Florida. Florida’s future infrastructure challenges are significant. In sparking awareness and interest among its citizens and by encouraging collaboration between legislators, state and local agencies in developing and supporting a strategic population plan, the future of Florida looks bright.